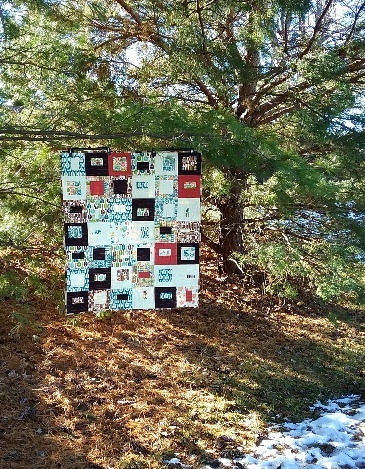 My sewing, quilting and creative life. 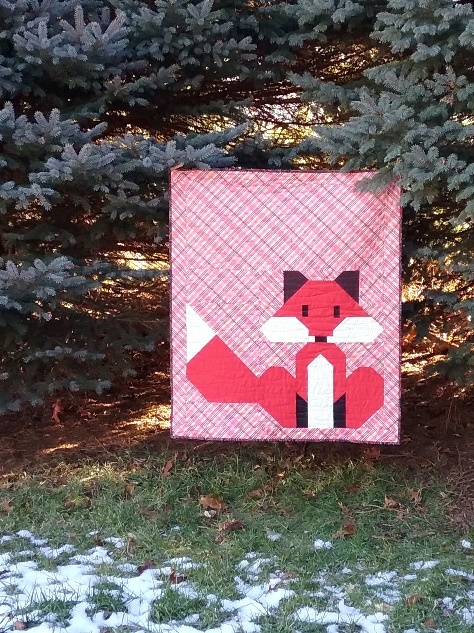 I recently purchased this super cute Fox pattern from my friend Lorna @SewFreshQuilts because I thought it would make a great kids quilt. 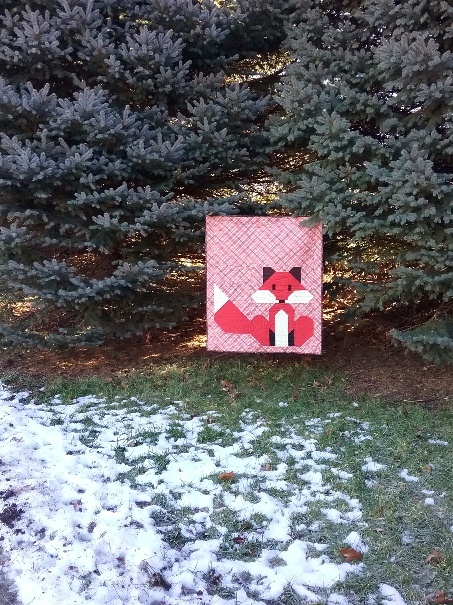 Who would not be cheered by a little red fox? Lorna has many patterns and they are so fun I know you will want to try one. *note: she did not pay me to praise her quilts they are just that fun! I wanted to snap some pics out on the park trail because we really do have a fox that frequents our neighborhood. This guy is part of my year end sewing. I made a few gifts but I didn't want to forget about making a couple quilts for sick kids in need of comfort at my area hospitals. 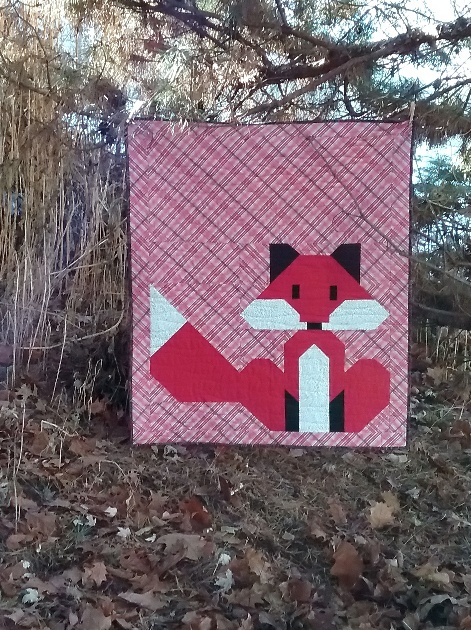 I sew from time to time for a local chapter of Lincoln Quilts for Kids. I am sure there is a chapter near you too if you would like to contribute your time. The group usually has kits made up all ready to sew so all you need is your machine, supplies and batting to complete a small quilt. It seems there is never enough boy quilts so I try to find fabric that works for boys. 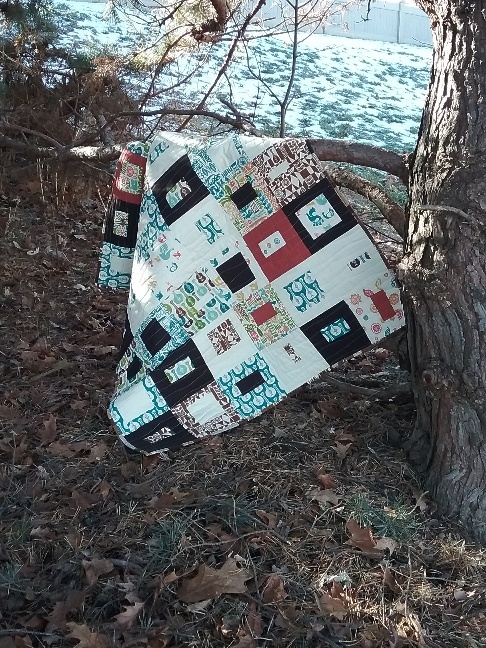 This fabric was a FQ bundle from Birch fabrics made of organic cotton. I will say it was a dream to sew with. 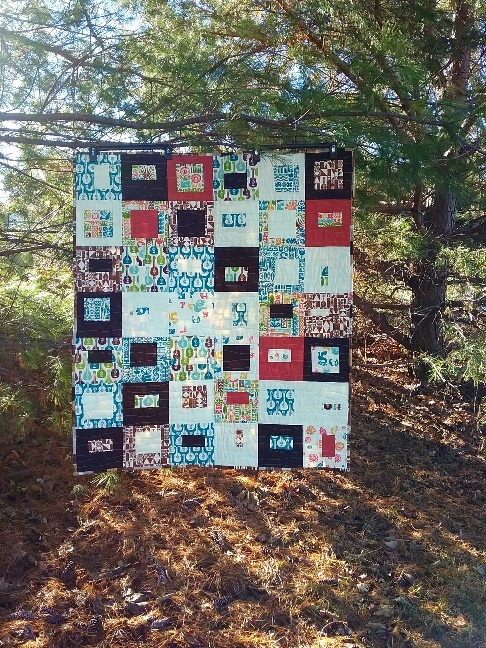 2 finishes for Quilts for Kids to end the year...Yay! Up close you can see the fun quilting design. I worked with Marsha from Dog Ear Creek Quilts to come up with something that would enhance but not take away from this fun layout. This quilt was made with one of my all time favorite things, The Quick Curve Ruler (QCR) and the pattern can be found in the books from Sew Kind of Wonderful. I love their rulers and on a mission to make several of their patterns. This layout of colors and fabrics was my own design. I wish you could see the glittery gold fabrics that make up some of the orbs. These textiles originally came from some leftover scraps my mom had in her sewing room box. I realized they were bits of her old jeans and a bit of denim off cut from some she made herself. I happened to look in my repair pile and I had a pair of worn out stretch denim leggings that I used to wear, a pair of Bugle Boy twill pants and a leg of work jean from my husband. In another pile I found a pair of stretch twill pants from my sister who always needs longer length in her pants. I am not sure if I was supposed to hem them and give them back to her or if they were just done but...they are in the quilt now. :) And, lastly another pair of twill pants I inherited from another sister. This accumulation is from 5 different mending piles. So excited that Kim over at Persimon Dreams is hosting Project Quilting again this year. It was so fun last year and I accomplished a lot. This year I had so many ideas for this first Challenge. 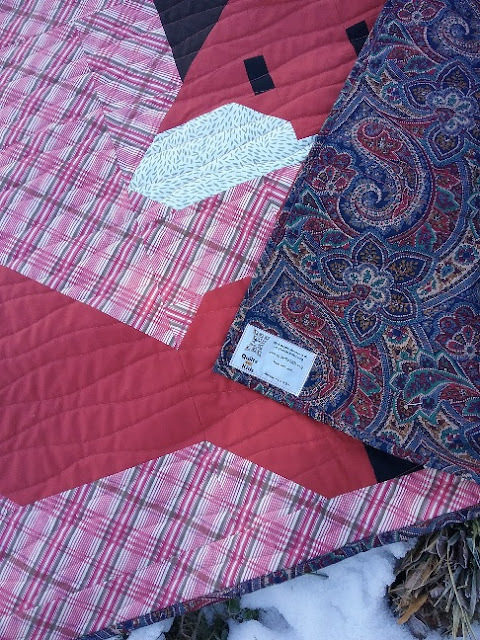 I wanted to do something more arty but when it came down to it I really need to make lap or baby size quilts for some of the charities I contribute to. 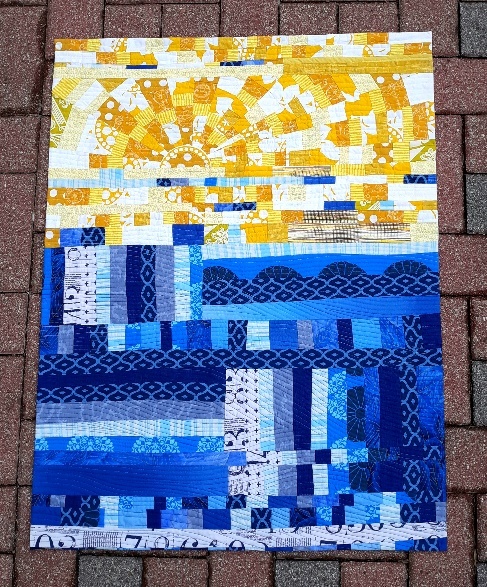 I am sure I will do something more artsy before the challenge is over but for today I am going with a version of a scrap quilt. 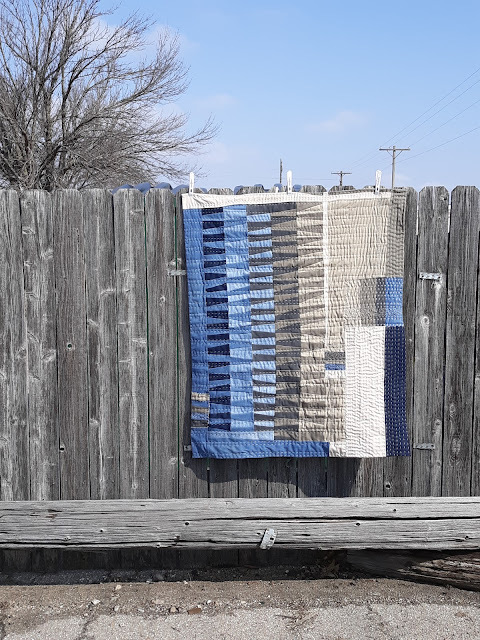 The Challenge is "String Along with Me"
I used the same strip quilt as you go as I did in a quilt I made last Oct following Maureen Cracknell and her Herringbone QAYG quilt tutorial. This was is called Scrappy II it is 43 x 45. All scrap strings, scrap batting pieces and scrap binding. It might not be very creative but my scrap box is looking so much better! The score is to make strip sets and then create from there. My limitations were the 2 colors of blue and yellow. I made strip sets of blues, yellows and one slightly mixed. I evidently felt I needed some blue waters and sunshine in this bleak winter because that is what it turned into. I played around with some thread colors because I finally had some various shades of Aurifil to use. Then I sort of did this flame grainline type quilting. I like the texture but it did stretch the quilt out a tiny bit. I had to block it when I was done to get it into shape. Hi, I am Kris from Nebraska. (with a niece) I love being creative. 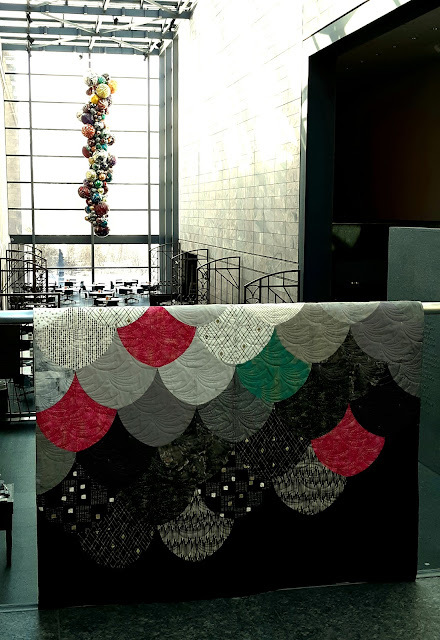 I enjoy sewing and quilting and learning new things about these creative arts everyday. childs advocacy center of lincoln ne. hootie and blowfish chicken pincushions.